On Friday evening I’ll have an Evanston pop-up. 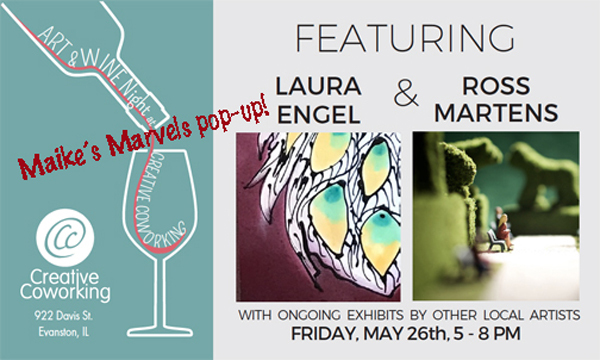 Creative Coworking is hosting Art & Wine Night Friday, May 26th, from 5Â to 8pm. 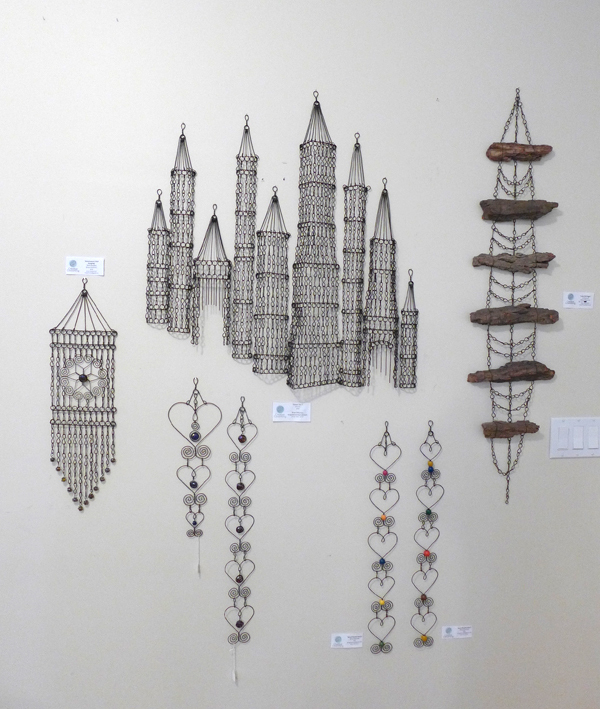 This month showcases work by Laura Engel and Ross Martens. 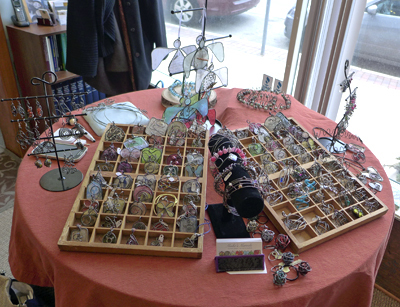 I will have a pop-up table with my jewelry and ornaments and brand-new plant stakes in the exhibit area. 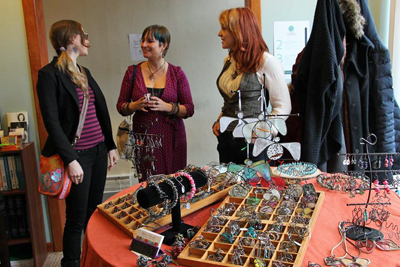 Creative Coworking is located at 922 Davis Street in Evanston. These evenings are always fun and full of new discoveries. 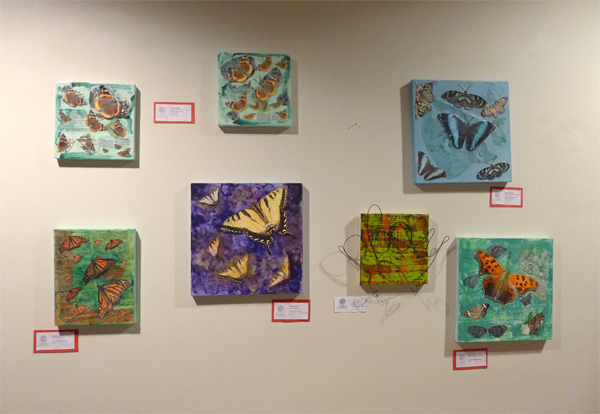 I also have my butterfly collages on a wall in the coworking space, and numerous other artists grace the three floors. Ongoing exhibitions inlcude: Liz Albertson, Laura Allen-Simpson, Jerry Alt, Raissa Bailey Eirich, Ann Baker, David Bender, Michael Berns, Betty Butler, Melanie Deal, Mark DeBernardi, Michael Birnbaum, Vanessa Filley, Angela Garbot, Larry Geni, Ted Glasoe, Liberis Golfinopoulos, Heather Hancock, Jill Hejl, Chris Heisinger, Jason Kaiser, Sarah Kaiser, Bonnie Katz, Bridgette Kelling, Ian Lantz, ITALA, Edyta Legiec, Elisa Lindstrom, Patrick Linehan, Stephen Lloyd, LP Lundy, Michelle Mallin, Christine McClure, Katherine Nemanich, Kristen Neveu, Darren Oberto, Greg Palmer, Annette Patko, Brian Peterson, Ron Rutkowski, Don Seeley, Barbara Seyfried, Sorcha, Rich Sparks, Nina Ulana, Amy Woodbury, Jerry Woods, Monica Zanetti, and Benita Zarling. Come on out and enjoy wine, nibbles, and excellent company! You can take the CTA to Davis Street, or park nearby in Sherman Garage or on side streets. I’m sure there’s a bike rack closeby as well! 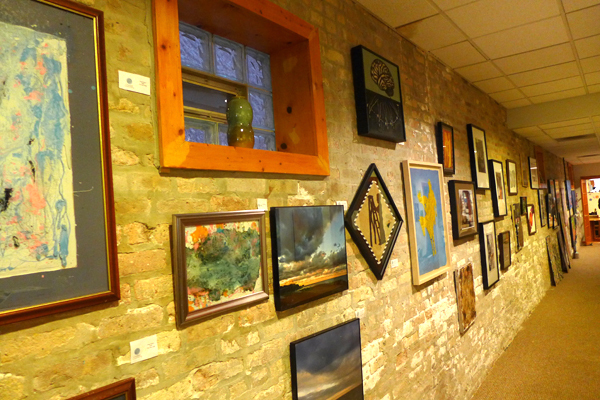 This entry was posted in Art & Culture, art fairs and tagged Art & Wine Night, Creative Coworking, Creative Coworking Evanston, MaikesButterflyArt.